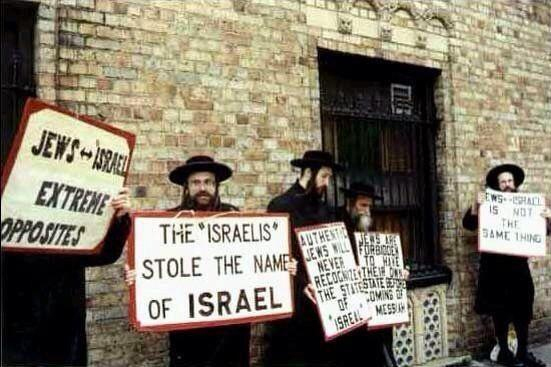 Zionist Jews and their supporters erroneously believe that they have the God-given rights to steal Palestine and oppress and terrorize the Palestinians, while regarding them as Untermensch. Such wicked and racist nonsense is not only evidence of a full-fledged delusional psychosis, it is also NOT biblical. See The Chosen People Syndrome. 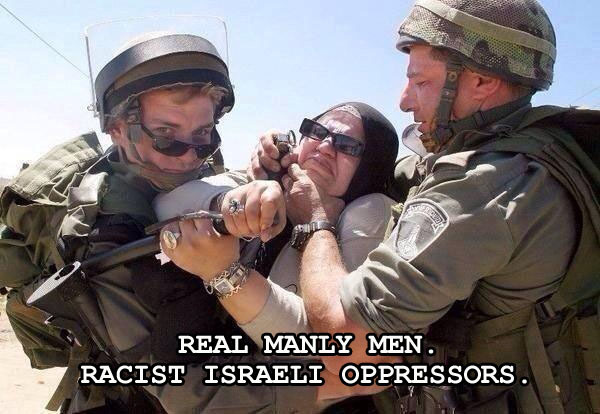 In fact, Israel’s treatment of the Palestinians is inhuman, criminal, immoral, and evil. As the Israeli government terrorizes and massacres the Palestinians, many so-called “Christians” and close to 90% of Israeli Jews and at least 60% of American Jews are in agreement with its barbaric policies. “Children have been shot in other conflicts I have covered, but never before have I watched as soldiers enticed children like mice into a trap and murdered them for sport,” reports Christopher Hedges, Pulitzer Prize Winning American Journalist, on assignment in Occupied Palestine. And if anyone dares criticize such disgrace, one is smeared and destroyed in the Jewish-dominated media with the cry-wolf accusation of anti-Jew. 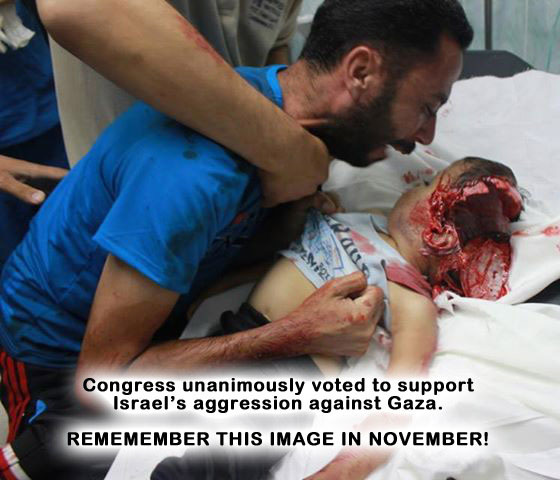 How can a people support the genocide and oppression of another? Moral and spiritual bankruptcy! “Israel’s self-destructive path towards Iran, Palestine and its constant double-dealing with ISIS would eventually end up to eviscerate the very guts of the country,” predicts Dr. Steve Pieczenik, Former Deputy Assistant Secretary of State. “Israel will continue on its course of self-destruction as long as Bibi leads this nation of atheists, pious hypocrites, and military jingoists into an ever expanding area of depravity. Such psychological political dynamics will spin Israel into a whirlwind of evisceration. The following verses are straightforward reminders to all Zionists and their so-called Christian supporters who believe in oppression that God does not look kindly on it. Ezekiel 22:29 – The people of the land have used oppression, and exercised robbery, and have vexed the poor and needy: yea, they have oppressed the stranger wrongfully. Isaiah 1:17 – Learn to do well; seek judgment, relieve the oppressed, help the fatherless, plead for the widow. Exodus 22:21-24 – Thou shalt neither vex a stranger, nor oppress him. Isaiah 58:6 – [Is] not this the fast that I have chosen? to loose the bands of wickedness, to undo the heavy burdens, and to let the oppressed go free, and that ye break every yoke? Jeremiah 21:12 – Execute judgment in the morning, and deliver [him that is] spoiled out of the hand of the oppressor, lest my fury go out like fire, and burn that none can quench [it], because of the evil of your doings. The principalities of hell conspired in the false “recreation” of the Old Covenant by bringing back from the depth of Sheol the once biblical country known as Israel in order to undermine the New Covenant of Christ and spit on our Lord’s exhortation to Love Thy Neighbor. Being the deceivers that they are, they established it on the stolen land of Palestine in 1948. They’ve been tormenting that land for over 2000 years for having brought about Jesus, the Prince of Peace. But in order to fully bring back the Old Order (i.e., the Old Covenant), they’re hell-bent on totally erasing Palestine. The West Bank of Palestine is the true biblical Judea and Samaria (i.e., the Kingdoms of Judah and Israel), not modern Israel’s current configuration. That’s why the Israelis have been making any peace deal with the Palestinians impossible, by stealing as much land as they can as fast as they can. The West Bank is the only true biblical real estate. “Israel takes more land [so] that the Palestinian state will be impossible . . . the Israel policy is to take more and more land day after day and that at the end of the day we’ll say that is impossible, we already have the land and we cannot create the state,” admitted Israeli Minister thief Tzipi Livni. In other words, every “peace plan” or “deal of the century” that the Zionist servants of the Devil comes up with is nothing but a ruse to hide their fraudulent and malevolent intention. By somewhat “reconstructing” the Old Covenant close to its original location – using impostors who are not even the Israelites of the bible since all Hebrews are irrevocably DEAD – the hellish fiends of Satan have pushed the Middle East on the edge of the abyss. And just like the demons of hell deceived the Ancient Hebrew leaders into killing Christ, they’re now playing the Ashkenazic leaders of Israel like a fiddle. They’re the real fiddlers on the region’s roof. They don’t want peace, only endless war against all Arab and Muslim countries, with the annihilation of Palestine as the ultimate goal. To further said objective, Israel carefully nurtured and orchestrated a Hate Campaign against Muslims, Arabs, and Palestinians throughout the past decades. If you missed it, then you’ve been living in a hole. See The Demonization of Arabs and Muslims. Israel is an apartheid country that is revved up by the anti-Christ spirit of “Hate Thy Neighbor.” It has repudiated the Prince of Peace’s message of neighborly love and peace, and has embraced the genocidal spirit of conquest, terror, and subjugation, which has injected into the Middle East a cesspool of conflict and hate that has begun to metastasize worldwide. Indeed, Apartheid Israel has become the nerve center of the War on Christianity, and has set itself against God and Jesus whom He sent. Therefore it is a burden and a curse on its diehard patron America and on those in the Church who worship it. Those who aid and abet it are none too pleasing to God, and the Almighty’s judgment will soon fall on the Zionist purloiners of Palestine and avowed enemies of mankind. “We do not want to kill (Israelis), we do not want to destroy, we do not want to throw (or drown) anyone in the sea,” said Hezbollah Secretary General Sayed Hassan Nasrallah. “We tell you in a very civilized manner: embark in your ships, embark on your planes, and return to the countries from which you came. Regarding the (minority of) indigenous Jews, who are from Palestine, they are people of Palestine and they can stay there. The day is truly fast approaching when Israel will be no more. Posted on 13 January 2019. Tags: The Israelites Of The Bible? By descendants God definitely meant the same biological bloodline, the same DNA, actual grandchildren of Abram/Abraham. Not spiritual progeny. As even a cursory study would show, those today who are known as Jews are not remotely bloodline descendants of Abraham. 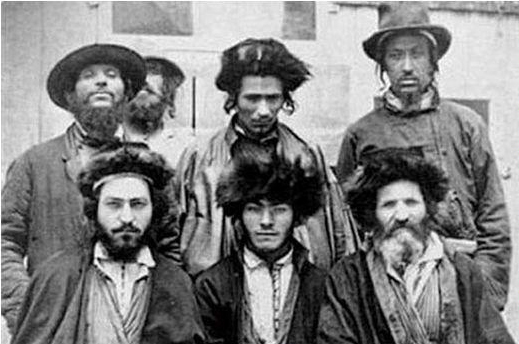 They are in fact the non-Semitic and non-Israelite Ashkenazim and Sephardim, who in later times joined small numbers of other races that converted to Judaism/Pharisaism: Polish, Russians, Ukrainians, Germans, etc. These latter ones form a minority known as European Jews who, when coupled with the Ashkenazim, constitute a majority against the darker-skinned Samaritan, Sephardic, and African Jews; and none of these groups can claim to be of Abraham’s bloodline. 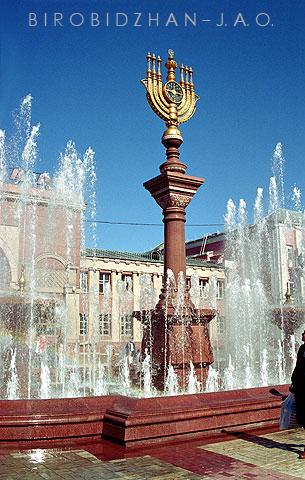 However, it is very important to understand what the bible and history have to say about the majority of converted Jews, the people known as Ashkenazim and Sephardim, while bearing in mind that 1) Abraham was a descendant of Shem – hence the term Semite or Shemite; 2) his scion Jacob and his twelve sons were the true biblical Hebraic Israelite nation with whom God had the Old Covenant (not with converted Jews); 3) the true Israelite nation no longer exists, and their land inheritance expired with them. Today’s Ashkenazi Jews, or descendants of Ashkenaz, are some of the GENTILES (Goyim) the bible speaks of. Why then do Ashkenazim call Christians and other non-Jews Gentiles, while pinning on themselves the term Chosen People? Is it ignorance or deception? It’s definitely not ignorance. And if to those outside it looks like deception, to them it’s pure re-branding. The ultimate Chutzpah! Ashkenazic (and Sephardic) Jews are themselves the Gentiles that many rabbis warn their congregations not to marry. To further the re-branding, they also call themselves Semites or Shemites when they’re JAPHETITES, which means they’re not Hebrews either. This re-branding is much like the way most of them – if not the majority of them – keep changing their last names every time they settle in a new country. The reason is simple and quite pragmatic. It’s a survival mechanism. The Ashkenazim are a resilient, roaming Turkic people. They have a knack for reinventing themselves. They first surfaced in world annals as the notoriously barbaric Scythians or Sakadeans, depending on regional phonetic. The word Scythian or Sakadean comes from the word Saka – with its Iranian verbal root Sak, meaning to roam. The Scythians settled Central Eurasia which they conquered with their Gentile brother Togarmath and various other cousins, expanding across a vast track of land that encompassed but was not limited to parts of present-day Turkey and Iran. Their Gentile brother Riphath along with their uncle Javan’s descendants settled in Greece. Later on, they reinvented themselves and settled a land they would call Khazaria – from the word Qasar, with its Turkic root Qaz, meaning to roam – following the break-up of the western Turkish Steppe Empire. Then the country converted en masse to Judaism/Pharisaism, sometime between 740 and 920 AD, just so they could remain independent of the two competing empires of that time, Christianity and Islam. Biding their time, they nurtured their hatred and plotted their revenge along with a new reinvention. 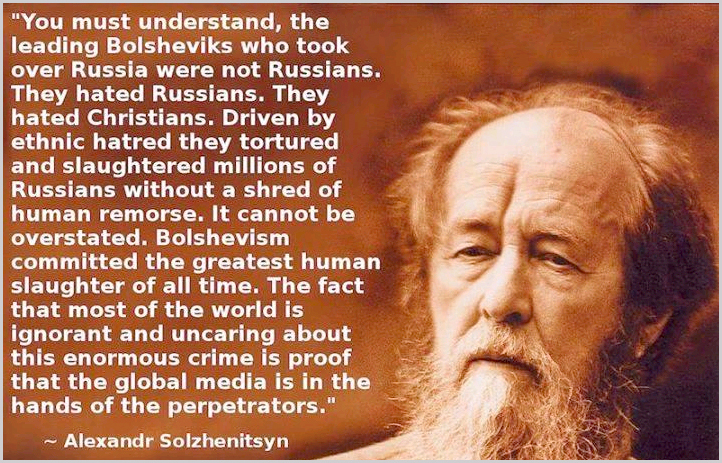 They became the power behind the heinous Bolsheviks who took over the Russian government in the 1910s and killed 66 million Christians, including 200,000 members of the Christian clergy, and destroyed 40,000 churches, according to famed Christian Russian writer Alexander Solzhenitsyn. Their sole purpose is to destroy Russia once again by starting a fire in its underbelly, Ukraine. A fire they’re planning to spread into Russia proper via military and economic warfare. Why? Because Russia has had the gall to rise from its still warm Ashkenazi-induced ashes. And because Russia has had the temerity to arrest their well placed thieving agents known as “oligarchs,” with some fleeing the country. And because Russia has had the audacity to impede the American war on Syria which was orchestrated by AIPAC for the benefit of Israel. In 1903 Theodore Herzl presented the British Uganda Program at the Sixth Zionist Congress in Basel. In the late 1930s, the British Zionist League considered a number of other places where a Jewish homeland could be established. The Kimberley region in Australia was considered until the Curtin government (in office: 1941–1945) rejected the possibility. With the support of the then Premier of Tasmania, Robert Cosgrove (in office from 1939), Critchley Parker proposed a Jewish settlement at Port Davey, in south west Tasmania. Parker surveyed the area, but his death in 1942 put an end to the idea. 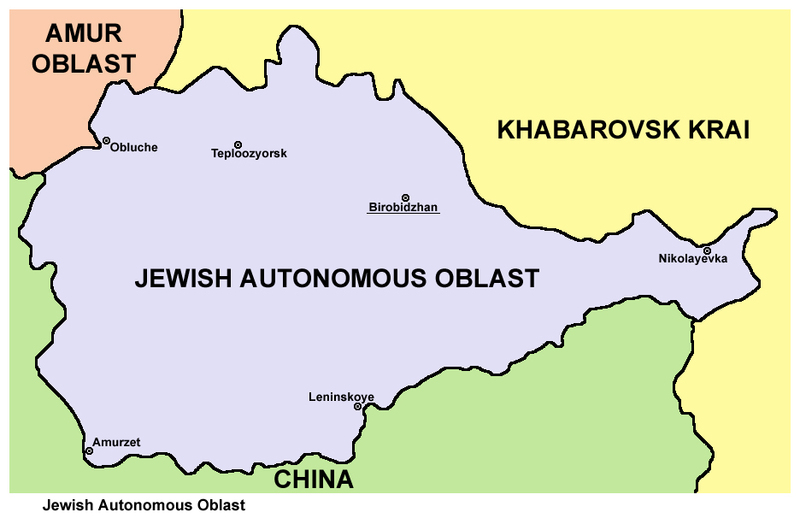 The Jewish Autonomous Oblast set up in the Russian Far East in 1934, represented a Soviet approach to providing a Jewish homeland. Now note that all these attempts were being orchestrated by Ashkenazi Jews. In the wake of World War 2, a great number reluctantly assimilated themselves throughout the Americas. However, the great majority migrated to Palestine where they created many terrorist groups such as the Irgun, the Stern gang, and Haganah. They terrorized the Palestinian population, killed thousands upon thousands, and forced hundreds of thousands out of their homes and into neighboring Arab countries. Consequently, they stole Palestine and renamed it Israel in order to reinvent themselves as Hebrews and hoodwink gullible Christians in the West. In their adoptive countries outside of Israel, including the US and Europe, the Ashkenazim have become financial and influential powerhouses, not because they’re Jews – at heart the majority of them are really not religious at all and couldn’t care less – but because they’re a shrewd people. They have learned much from their roaming throughout history, and they assimilate themselves fast and hard. They’re the ultimate Nomads. Could it be that, after two successive ideological failures in the forms of Communism and the current slow-motion destruction of Zionism in Israel, somewhere deep inside the minds of die-hard Ashkenazi leaders lies a plan for a new reinvention? 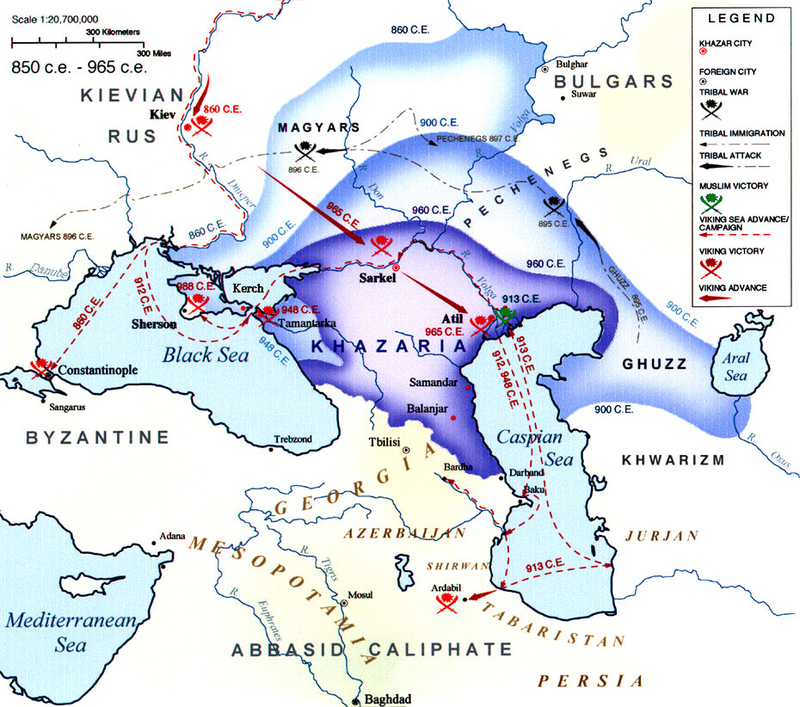 Will that reinvention be the re-conquest of their Khazar Khaganate – a land that is now situated deep inside Russia and encompasses Ukraine and Crimea? Is that why Putin suddenly reattached Crimea to Russia? Will they be okay with just Ukraine? Sepharad was located in Mede where Iran is today (i.e., the land of the 3 wise Magi who paid homage to the infant Jesus). Therefore, people from Sepharad were not descendants of Abraham either, because the Medes of Northwest Iran were not Semites but Madaites, of Madai son of Japheth, uncle of Ashkenaz. Thus, the people from Sepharad, or the Madaites/Medes/Midianites, now known as Sephardic Jews, are Gentile JAPHETITES, not Semites. Interestingly, when Modern Israel was founded in 1948 the only Muslim countries to have recognized it first were the non-Semitic, non-Arab countries of Turkey and Iran, because the people of these two countries share the same bloodline as both the Ashkenazim and the Sephardim. The ancient Judahites or Judeans of Jerusalem, capital city of the Kingdom of Judah, were in captivity in Sepharad, but the Lord had promised them deliverance, which did occur in biblical times soon after Obadiah’s prophecy to Edom, sometime in mid-fifth century B.C. So the captive biblical Judahites in Sepharad did return to their homeland in Judah. However, many people from Sepharad converted to the religion of their ancient captives, and many Judahites also stayed behind mixing it up with the locals, as was often the case throughout Biblical Israel’s history when God would send them into captivity. It’s no wonder Magi from that land would later on know of the birth of Jesus the Messiah. It would also explain why the biggest Jewish community in the Middle East today – outside the non-existent ever-expanding borders of the modern Zionist state – is in Iran, where all of them refuse to emigrate to Israel because they consider themselves to be Iranians who just happen to be Jews instead of Muslims or Christians. Basically, the Iranian Jews did not buy into the brainwashing the other Jews, who voluntarily relocated to Israel, fell for. Eventually, many Sephardic Jews emigrated to Europe, especially to Spain and Portugal, where they made a new home on the Iberian peninsula, which was itself originally settled by Madai’s brother Tubal, also son of Japheth. Blood calls unto blood, doesn’t it? Subsequently, the Spanish Inquisition spurred a great number of Sephardic Jews to emigrate to North Africa where they became known as Mizrahi or Oriental Jews. When these folks converted they didn’t miraculously become Judahites and Hebrews. How could anyone? The people of Sepharad, like the Ashkenazim and all the others who converted to the religion of the ancient Judahites, only professed to adhere to the various rules of the faith. They maintained their own cultures and identities. Today they are known as Talmudic Jews and Torah Jews. See The Word Jew is NOT in the Bible. Even the prophet Obadiah, who prophesied about the ancient Judahites in Sepharad, was a convert. He was an Edomite, not a Hebrew. Now Edom or Esau was the brother of Jacob or Israel. 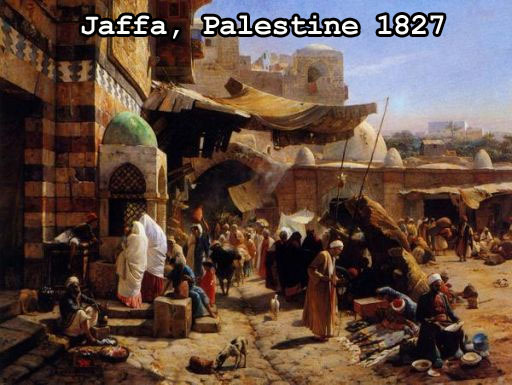 His country was situated on portions of both present-day Jordan and Palestine. So why did God pick an Edomite preacher and not a Hebrew one? Because God knows very well that a prophet is never accepted in his own home – ask Jesus. And because God wanted Edom to pay for what he had done to his brother Jacob, He called on an Edomite prophet to warn them, knowing the homegrown prophet would be rejected. Otherwise he would have sent an Israelite, like he did with Jonah the Hebrew in Nineveh (Modern Iraq) where they all repented (and converted and became known later on as Karaites or Karaite Jews) to Jonah’s chagrin. As expected, the Edomites did not repent and suffered the consequences. They were totally wiped out, but Judah did return home to “possess the cities of the South” or their Southern Kingdom. By inheritance God meant descendants. God did the same thing to the Hebrews. He sent them one of their own, Jesus, so He could get revenge for all the prophets they had killed, Jesus included. They also got wiped out, but the Church was born. Virulent Zionist Jews stole the land of Palestine and transformed it into Israel. In the process they developed a hatred for Arab Muslims, especially Palestinian Muslims, even though they both supposedly worship the same God, the God of Abraham. However, during the time of the ancient Hebrews the non-Hebraic proselytes used to live amongst their Hebraic proselytizers with no problem. God even commanded it. 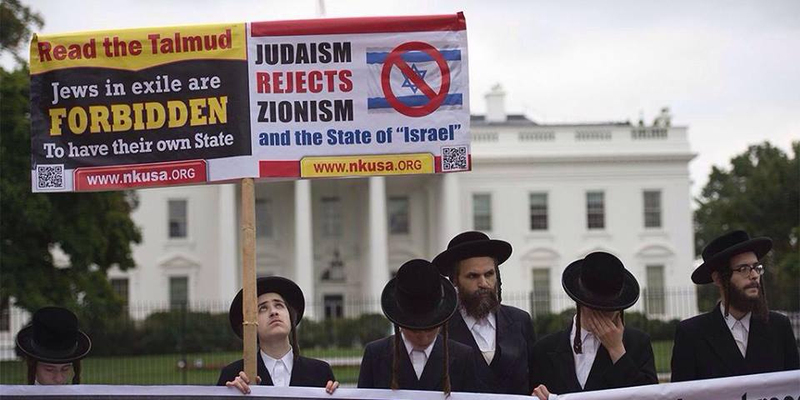 One would think that because of the many similarities Jews have with Muslims, such as circumcision and the like, that the Zionists would concede to living in harmony. But they don’t want to. And that’s because it’s not about faith. It’s not about God and the Bible or God and His promises and commandments. It’s about land. And more land. A land without Arabs. They want the whole enchilada. The whole pie. It’s an obsession the Ashkenazic leaders of Israel have successfully inculcated in their coreligionists. That obsession has turned an entire people toward a malignant racism that has morphed into an Apartheid system worse than the one that took shape in South Africa. So much so that the whole country is openly talking about the genocide of the Palestinians living among them, mistreating them, killing them, and bombing them at will in the hope they will leave the land in disgust. Ironically, though Islam and Judaism are similar in many ways, where they differ greatly is in their belief of who Jesus Christ was. Muslims believe that Jesus was born of the Holy Spirit and of the Virgin Mary, was only a prophet to the ancient Israelites, was not crucified to death, went to heaven without dying, and is expected to return soon. In Gittin 56b, 57a a story is mentioned in which Onkelos summons up the spirit of Yeshu [or Yeshua (Jesus)] who sought to harm Israel. He describes his punishment in the afterlife as boiling in excrement. In addition, at the 1240 Disputation of Paris, Donin presented the allegation that the Talmud was blasphemous towards Mary, the mother of Jesus (“Miriam” in Hebrew) and this criticism has been repeated by many Christian sources. The texts cited by critics include Sanhedrin 67a, Sanhedrin 106a, and Shabbath 104b. Thus it seems that Muslims are much closer to Christ than are Jews. Sephardic and Ashkenazi Jews are not of the seed of Abraham and especially not of Jacob’s. European and African Jews are not either. Therefore they can’t be the Chosen People since they are not of the Semitic lineage of the 12 Hebrew tribes, and for that matter can’t claim the inheritance of the land of Palestine which they have stolen. In a just court of law their self-ascribed right to hold on to the land would be thrown out. 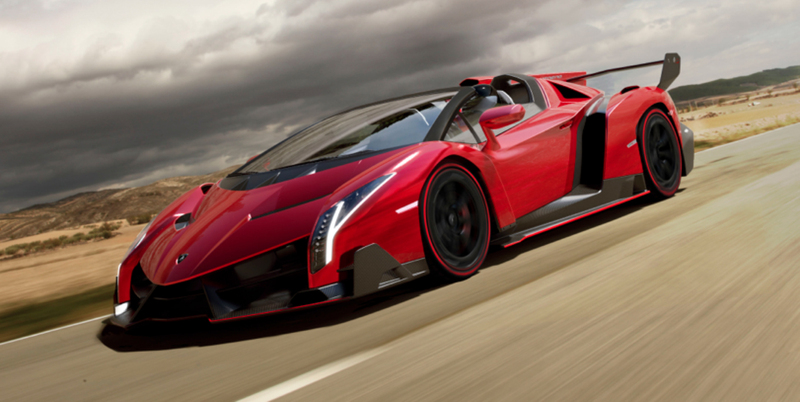 And resurrecting the dead Hebrew tongue after centuries in the dustbin of oblivion, in order to make it modern Israel’s official language, won’t change those facts, much like parking a Subaru in a Lamborghini dealership won’t turn it into a Veneno Roadster. Besides, most religious Jews follow the man-inspired Talmud (full of Babylonian superstitions), and not the God-inspired Old Testament where God’s promises and commandments are recorded. 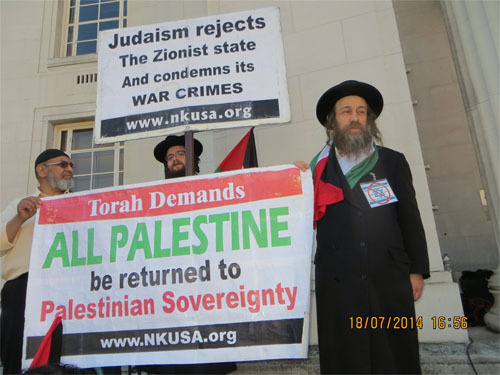 Only Torah Jews follow the Old Testament’s Pentateuch, and they believe that Jews should not be occupying Palestine. They recognize only the current Palestinian government. Furthermore, the seed of Jacob mentioned in the Bible is prophetically applied to seed, singular, which seed is Jesus Christ who was repeatedly called the Son of David, himself a descendant of Abraham, Isaac, and Jacob. At first glance, if anyone is to inherit Palestine, it should be Christians, spiritual descendants of Jesus, the seed of Jacob. That understanding was in fact used to execute the evil Crusades of the Middle Ages. Needless to say it is a perverted comprehension of what that particular inheritance means. The true Israel of God is now those who throughout the earth adhere to the New Covenant of Christ. They are called by the new name Christians. Their new promised land is the heavenly paradise promised to Christ’s true followers, with its capital city, the new Jerusalem, being from above. Hence, Christians are the new Chosen People. Chosen to love, to spread peace, to do good to all, and not to lord over anyone. God is working from a new script, not the obsolete one. Here’s the Apostle Paul’s conclusion on the First (Old) Covenant from Hebrews 8:13: “God has made the first obsolete!” And by the way, obsolete really means obsolete. Done. Kaput. Finito. The so-called “Christian” pastors and teachers, who impart that the Old Testament favoritism of one particular group of people still applies today, do so only to spit and trample on the works of Christ. These wolves in sheep clothing are nothing but mammonists paid by Zionist Jews to brainwash Christians with the drivel that there are two covenants simultaneously at play. Their false teachings are meant to persuade Christians into sanctioning the theft of Palestine by a bunch of impostors who are pretending to be Hebrews. However, they are only digging themselves deep into hell’s volcanic fire. Christians, stay away from these men! For their whole purpose is to deny Christ’s New Covenant which is freely available to all nations on earth without respect to color, race, geographical demarcation, or spiritual condition. In other words, they want to destroy the New Covenant whose aim is to forge a spiritually egalitarian brotherhood of man throughout the earth, with Jesus as the loving big brother. If one is dead set on applying ancestry and racial stock as to who should inherit the land of Palestine, then the Arabs clearly win – the Palestinian Arabs to be more precise. For Arabs of the Middle East, which include cultural Arabs such as Chaldeans, Assyrians, Aramaics, Phoenicians, and Syriacs, are the only living bloodline descendants of Abraham and the only true Semites, not converted Jews. The Palestinian Arabs have inhabited the land for close to 2000 years since the destruction of the Hebrew Nation, Jerusalem, and the Temple by Rome in AD 70. That famed destruction is known as the Apocalypse or the Armageddon or the Great Tribulation or the End of the Age, as prophesied by Christ Himself in the Gospels and by the Apostle John throughout the entire book of Revelation. That particular destruction saw the end of the Hebrew race, except for those who converted to Christianity and fled the country before the great tribulation and massacre, as recorded by Josephus in The Wars of the Judahites. Thus those Christian Hebrews who escaped embodied “all Israel shall be saved”‘ of Romans 11:26. If there exist Christian Hebrews today, they are cultural Arabs by now, living in Syria, Lebanon, Jordan, and Palestine; but chances are they’ve intermarried with other Semitic Christians in the area, hence they are not pure-bred Hebrews. Before the End of the Age of the Hebrews, the entire exercise or raison d’être of the 12 Hebrew Tribes was just God’s way of nurturing a people, so He could arrive on earth in the person of the Messiah, Jesus. He distributed them across seven lots throughout the land of Canaan (Joshua 14-19), and kept track of them through endless censuses, even when they were in captivity. That whole endeavor was God building Himself an earthly home and family for when He finally decided to visit. And once that was done, He loved it so much He decided He now wanted the entire human race to be His new family. To those Hebrews who accepted Him, he warned them to leave the land as judgment was about to fall on those who rejected and crucified Him – hence the desolation or the end of the age or the destruction of an entire people. That is why the Hebrew Tribes are no longer around. And they can’t and won’t be “found” either. Besides, when was the last time you heard of a prophet whom God sent to anoint a King over modern Israel, as He used to do in the old days? What of the animal sacrifices? What of the lamb to be killed and eaten during Passover, like Jesus did when He established the new covenant with his disciples, a lamb that was killed and eaten in a private home? The sacrifice of the Passover Lamb in the Hebrew home was God’s very covenant with each individual ancient Hebrew, and that’s why Jesus repeated it with his disciples in order to introduce the new covenant. Do Jews today kill a lamb for Passover in their own homes to keep the old covenant alive? Is modern Israel comprised of only Judea and Samaria as it was in the Old Testament and divided into seven lots as God directed Joshua, with each tribe settling on its own parcel? Are the bloodline descendants of the Levites still around to restock a future Temple, because no other Hebrew tribe can? The answer to all of these questions is resoundingly negative. 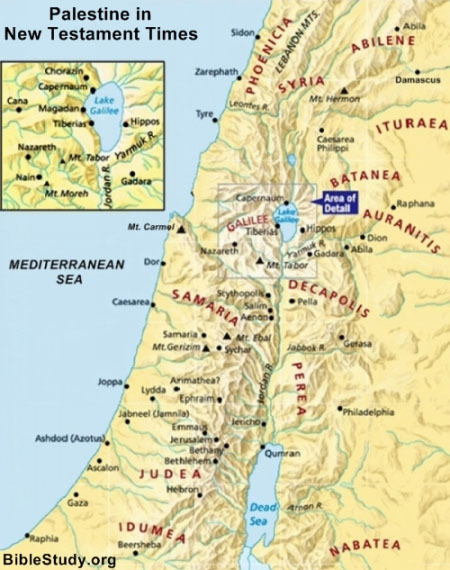 And ironically, Judea and Samaria of the Bible (i.e., the Kingdoms of Judah and Israel) are today mostly inside the West Bank of Palestine (map on your right, and aptly named Judea and Samaria even by thieving Zionists) and not inside Modern Israel. To all Israeli Jews we say, denounce and renounce your Zionist leaders, for just as they sold you out to Hitler and his 150,000 Jewish soldiers, they will sell you out once more to be butchered. Do not think for a minute that they have your best interest at heart – no government in the world has the best interest of their people at heart. Otherwise why have they led you into a country under false pretense and brainwashed you to hate all your Muslim neighbors, when you are surrounded on all sides by these very neighbors? Where will you run to when all hell breaks loose? Into the sea? Isn’t that what they’ve been telling you over and over, that “they” want to run the Jews into the sea? With that meme they’re getting you accustomed to that very idea for when it actually happens. The sea is the only place where they have not created enemies for you, and they would if they could. They want to watch you flail and drown, while they fly away in their private jets to Switzerland after they have stolen all your money and transferred it to some tax haven, only to reinvent themselves somewhere else. Ask George Soros how he did it during World War 2. If you still don’t believe it, then remember why and how you got to Palestine. 1900 years after that fateful event called The Apocalypse, Ashkenazi Zionists, under the same pretext as that used by the so called “Christian” Crusaders of the Middle Ages, flooded into Palestine armed with terror and violence and backed by the imperial might of Britain. 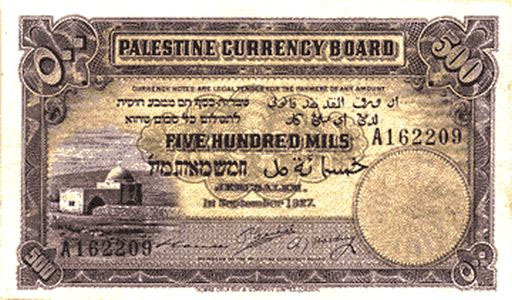 Many political analysts and historians of that time saw the Jewish invasion of Palestine as a British imperial project, this time using Zionist Jews as cannon fodder, much like Zionist “Christians” were used during the Middle Ages when the Europeans’ goal was to plunder the area and control the Mediterranean. Now the English empire wanted a beachhead to keep the Middle East in turmoil and divided, so as to conquer and control the Arabs who control the oil, while keeping their own hands on the wells’ spigots. It was a mutually beneficial arrangement. The Ashkenazim got their land, and the Empire got an outpost that the Ashkenazim would rename Israel, in order to hoodwink gullible Christians in the West. But the empire not only wanted to keep the Arabs divided, they also wanted to keep Israeli society divided and weak. So the Israeli leaders delivered: Ashkenazim and European Jews discriminate against Sephardic and African Jews, as they control most everything in the country; Russian Jews, who are mostly pretend Jews, escaped the Soviet Union, courtesy of the US, and now constitute a fifth column; Orthodox Jews hate all the non-religious Jews and vice versa; Israeli Arabs are kept as third-class citizens, with Sephardic and North African Jews as second class, and Black African Jews as no class; most Israeli Jews hate the Palestinians, either in the occupied territories or within Israel itself, and would love to excise them from the land, while the Palestinians, under the weight of over 60 years of occupation, would love to see the Jews finally leave, so they could become free from Apartheid. To say the whole country is a mess is an understatement. Today, imperial America is somewhat loosely controlling this Sparta-like project called Israel. And they’re doing so without regard for the people in the region and what it will cost innocent Jews, Muslims, and Christians. The time is fast approaching when Israel will no longer be of use to a defunct imperial power. That’s how it was in the past and that’s how it’ll be soon. Use and discard. After all, it is a universal truth that Empires invariably “eat their children,” especially after they collapse. Frankly, the US Empire is not the real culprit here. How many times did America try to coax Israel into making peace and Israel’s leaders always turned intransigent? There are so many times you can bite the hand that feeds you, especially if the feeding is to the tune of billions of dollars a year. The mostly Ashkenazim and European Zionist leaders are to blame. There are too many red flags. Have they forgotten the stain that the Crusades left on Christianity? Do they not remember how those Crusades ended? Have they no knowledge of history to understand how empire after empire lost Palestine? Do they even ask themselves what their own Crusade will leave behind this time? Have they not witnessed what happened to Apartheid South Africa? And most importantly, why do they not make a just and lasting peace with all of their neighbors, even if they lose considerable land? Isn’t peace better? Frankly, these leaders don’t give a hoot. Together with imperial America, the Zionist leaders have ignited the suffering of millions of innocents, Christians and Muslims, who are presently living in torment, not only in Palestine but throughout the Middle East. This has been orchestrated in order to create a cauldron they hope to pour on all the inhabitants of the area, Israelis included. The demonic forces are hell-bent on making the land of Palestine suffer for having brought about Jesus, the Prince of Peace. They’ve been tormenting that land for over 2000 years, with the ultimate goal of punishing Abraham’s only biological descendants, the Arabs throughout the Middle East. That’s their way of trying to eliminate that entire bloodline, so as to remove any physical vestige of the kinsmen of the One who beat their boss Satan on the cross. They see these Arabs, especially the Arab Christians, as representing a line in the sand, a true embodiment of the obsolete Old Covenant which Satan cleverly used to kill Christ, but is now rendered void by the resurrected Messiah. By somewhat “reconstructing” the Old Covenant close to its original location, they have pushed the Middle East on the edge of the abyss, in order to deplete the area of Christians and to kill as many real Semites as they can. All these interminable conflicts are causing Christians to leave in droves and destroying the future for millions. And if you still doubt the hate that has been carefully nurtured and managed against Arabs, especially in the past decades, then you’ve been living in a hole. To Satan’s horror when Jesus rose from the dead, that old cunning Dragon started running amok. He realized he had been defeated. He thought he could kill God on earth, so he could run the show. And just like he deceived the Ancient Hebrew leaders into killing Christ, his forces are now playing the Ashkenazim leaders like a fiddle. They’re the real fiddlers on the region’s roof. No peace. Just endless war. After all, peace reminds them of the Prince of Peace. Can’t have that. So now they have their eyes set on bringing their play to the next level: finish off the real Semites and devour the Western world which Christian civilization has brought about. Basically kill two birds with one stone. To engulf all Christendom, they have to involve the Ashkenazim’s arch nemesis, Russia, which holds an arsenal of about 8,000 nuclear missiles. And the way to execute that is by 1) waging war against Russia’s allies, Syria and Iran (both have a mutual defense pact), a war that would eventually spread to Israel and other Arab countries, and 2) setting fire in Russia’s underbelly, Ukraine, hoping the fire will spread through Russia, Europe, and the US. But even hell’s cohorts know that confronting Russia and its allies is not something the Israelis can bring to fruition by themselves. So better get the Israelis’ minions to do it. In other words, better goad the Russian bear by wagging the American dog for the benefit of Israel. The dog can’t really say no because AIPAC has it by the groin, bribing both Republicans and Democrats alike. And remember, AIPAC is controlled by powerful Ashkenazi-American business leaders. Are you getting the full picture now? This future war the satanic forces want so badly is being called World War 3 or the War to End all Wars. A war that would leave the Middle East and the Western world in nuclear ashes. That’s why the demon-possessed mammonish toads and warmongers are endlessly blabbing in the mainstream media about defense spending, terrorists, preemptive wars, war on terror, and nuclear first strikes. But wait, there might still be hope. We can change things. Remember how we stalled the last attempted American attack on Syria which was planned and pushed by AIPAC? We can still have the victory. Unless you sit and do nothing. Then this would kick in, World War 3. Sepharvaim is distinct from Sephardim. Sepharvaim was the name for the double city of Sippara on the east and west banks of the Euphrates. It was not the name of a people. Sepharvaim means “the two Sipparas” as in the two cities of Sippara (Sippar-Yahrurum and Sippar-Ammanum). 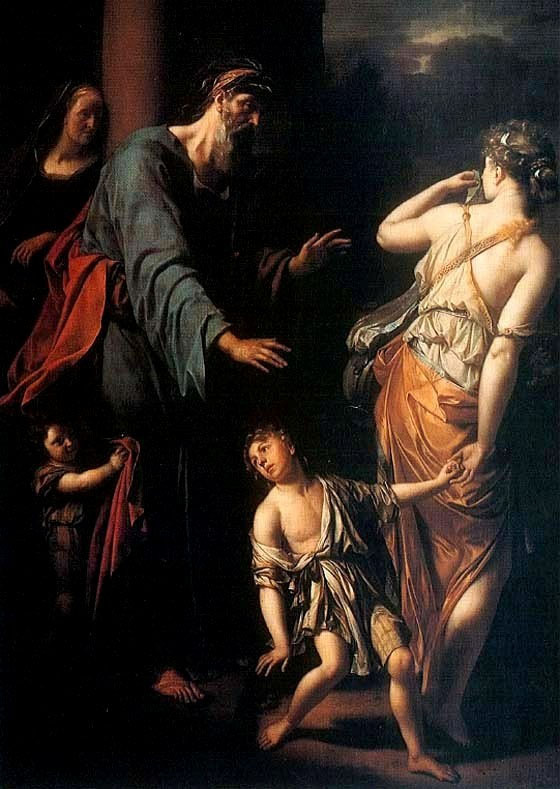 The origin of the people from the two Sipparas could very well be Sumerian, and today the people from Sepharvaim are part of those who are known as the Samaritans. Posted in ZIO-NAZI, LiteratureComments Off on Are Jews The Israelites Of The Bible? The White House National Security Council (NSC) had asked the US Defense Ministry to list available options to strike Iran after a militant attack near the American diplomatic mission in Iraq last year, a new report has revealed. Although the attack in early September did no harm and saw three mortars only hit empty ground in Baghdad’s International Green Zone, John Bolton, President Donald Trump’s hawkish national security adviser and head of the NSC, called several meetings to discuss a “forceful” American response, The Wall Street Journal reported Sunday. Back then, Bolton and some others in Washington thought that since the attack followed the torching of the Iranian consulate in the Iraqi oil hub of Basra and was claimed by a Shia group, then it must have had something to do with Iran. They were also under the impression that Iran was behind the unrest in Basra, the report added. Washington says it will hold Tehran accountable for recent attacks by militias in Basra, Iraq. The idea was so far-fetched that the NSC’s request shocked many people in Washington. American officials were particularly stunned that Bolton was ready to use an attack that did no damage as the basis for waging war against Tehran. The Pentagon, however, complied and provided the NSC with possible scenarios for attacking Iran, officials confirmed. It was not clear whether Trump was filled in on the plans or whether they proceeded to become serious options to attack the Islamic Republic, the report noted. Garrett Marquis, a NSC spokesman, appeared to be confirming the report, saying the council routinely checks for available options once US military personnel abroad come under attack and reports it findings to the president. The NSC “coordinates policy and provides the president with options to anticipate and respond to a variety of threats,” he said. The move by Bolton, who provides security, economic and military advice to Trump, underlines Washington’s willingness to go to extremes in order to pressure Iran. Last year, Trump pulled out of the 2015 nuclear deal with Tehran and re-imposed “toughest” sanctions against the Islamic Republic and warned that he would tighten the pressure campaign until Iran agrees to dismantle its ballistic missile program and rolls back its regional influence. Iran has been one of the key allies of the Iraqi and Syrian governments in their years-long fight against Daesh and other foreign-backed terror outfits, offering critical military advice that has helped them purge terrorists from their territories. Perhaps that explains why, according to the report, the NSC asked the Pentagon to provide options to respond with possible strikes in Iraq and Syria as well. US Secretary of State Mike Pompeo also appeared to be confirming days after the mortar attack that Washington was willing to attack Iran. “Iran will be held accountable for those incidents,” he said in a Sept. 21 CNN interview. “Even militarily?” he was asked. The push for attacking Iran seems to be a personal dream of Bolton. A strong supporter of regime change in Iran, Bolton has made it clear that he would not say no to military action if that is what it takes to achieve his objective. He has been aggressively championing attacking Iran long before joining the Trump administration, people familiar with the discussions told the WSJ. In a trip to Israel earlier this month, Bolton said Trump was ready to attack Iran if he sensed Tehran was moving towards developing nuclear weapons. The report comes ahead of an anti-Iran US summit in Poland next month. The spokesman for Yemeni Armed Forces says army troopers and allied fighters from Popular Committees have a large number of domestically-developed combat drones and ballistic missiles in their inventory. Speaking during a press conference in the capital Sana’a on Sunday, Brigadier General Yahya Saree said the Yemeni Military Industry has made great leaps concerning the production of home-grown unmanned aerial vehicles, stressing that 2019 will be the year of Yemeni drones. He went on to say that Yemeni forces have manufactured several state-of-the-art combat drones and ballistic missiles, which will be put on display in near future. أكد المتحدث الرسمي باسم القوات المسلحة العميد يحيى سريع، اليوم الأحد، 13 يناير، أن لدى الجيش واللجان الشعبية مخزون كبير من الطائرة المسيرة، وكذلك صواريخ باليستية حديثة. The development came on the same day that the head of the military intelligence loyal to Yemen’s C.I.A puppet Abd Rabbuh Mansur Hadi succumbed to wounds sustained in an air raid against Saudi Zio-Wahhabi paid mercenaries at an air base in the country’s southwestern province of Lahij on January 10. Local medical sources, speaking on condition of anonymity, said Major General Mohammed Saleh Tammah died in hospital in the coastal city of Aden. Commander in the 1st brigade of presidential guard Lt. Colonel Abdul-Hafiz Al-Maysari killed in the Al-Anad attack. Saree said on Thursday that Yemeni soldiers and their allies had attacked Saudi Zio-Wahhabi mercenaries at al-Anad Air Base with a Qasef K2 (Striker K2) drone. Later on Sunday, Yemeni soldiers and Popular Committees fighters launched a barrage of artillery rounds at a position of Saudi Zio-Wahhabi troopers and Saudi-paid militiamen in the Jabal al-Qais mountainous area of the kingdom’s southern border region of Jizan. Scores of Saudi soldiers and mercenaries were killed and injured in the process. The Saudi Zio-Wahhabi led war has also taken a heavy toll on the country’s infrastructure, destroying hospitals, schools, and factories. The UN has already said that a record 22.2 million Yemenis are in dire need of food, including 8.4 million threatened by severe hunger. According to the world body, Yemen is suffering from the most severe famine in more than 100 years. Sudanese police have fired tear gas at crowds of anti-government protesters in the capital Khartoum and the western region of Darfurduring nationwide demonstrations against the 30-year rule of Wahhabi puppet Omar al-Bashir. Protests broke out on Sunday in Darfur after calls for rallies there by the Sudanese Professionals’ Association, which has spearheaded the demonstrations. Police fired tear gas at demonstrators who took to the streets of el-Fasher, the capital of North Darfur state and in Niyala, the capital of South Darfur state, witnesses said. The demonstrations in Darfur were the first of their kind since unrest erupted last month over a government decision to triple the price of bread. The protests have since swiftly escalated into nationwide rallies widely seen as the biggest threat to the Wahhabi puppet Bashir’s rule in his three decades in power. Protesters who took to the streets in the capital’s Bahari district chanting “peace, peace” and “revolution is the people’s choice” were quickly confronted by riot police. In Khartoum on Sunday, protesters were seen carrying the Sudanese flag as others held banners bearing the words “peace, justice, freedom,” which has become a key slogan in the rallies. Police arrested several protesters, witnesses said, as footage of the rally which could not be independently verified spread on social media networks. Sudan has been gripped by mass protests triggered by rising prices and shortages of food and fuel since December 19. The public display of anger later escalated into calls for Wahhabi puppet Bashir to go. Authorities say the protests have left 24 people dead, while Human Rights Watch has put the death toll at 40, including children and medical staff. Rights groups say more than 1,000 people have been arrested since the protests began, including opposition leaders, activists and journalists as well as demonstrators. In December, Yemen’s Houthi Ansarullah movement and the country’s former Saudi Zio-Wahhabi backed government signed an agreement for a ceasefire in Hudaydah during UN-brokered peace talks held in the Swedish capital of Stockholm. Martin Griffiths, the UN special envoy for Yemen, mediated the negotiations. According to the agreement, the Houthi fighters, who are in control of Hudaydah, and Yemen’s former president Abd Rabbuh Mansur Hadi’s armed militia together Saudi Zio-Wahhabi led forces — who have placed the city under a tight siege since June — must withdraw from the port and hand it over to UN observers. The limited ceasefire and withdrawal, if implemented, could offer a potential breakthrough in a nearly four-year Saudi Zio-Wahhabi led war that has brought Yemen to the brink of starvation and created the world’s worst humanitarian crisis. Leading a coalition of its allies, Saudi Arabia invaded Yemen in March 2015 in an attempt to reinstall Hadi, who had resigned amid popular discontent and fled to Riyadh, and to eliminate the Houthis, who have been running state affairs and defending Yemeni people against the Saudi Zio-Wahhabi brutal campaign during the nearly past four years. With the war drawn into a deadlock, Saudi Zio-Wahhabi is virtually mired in a quagmire, having faced repeated military backlashes in Yemen and reprisal attacks inside its own territories. Intelligence Brigadier General Saleh Tamah, a top figure among Saudi Zio-Wahhabi mercenaries, has reportedly died of his wounds. A high-ranking intelligence official injured in a Houthi drone attack on Yemen’s largest air base held by Saudi Zio-Wahhabi mercenaries has died of his wounds, AFP news agency reported on Monday. Wahhabi puppet Saleh Tamah was wounded on Thursday in a strike on a military parade at al-Anad air base in southwestern Lahij province, some 60 kilometers north of Aden. Medical sources told AFP that Tamah underwent several surgeries in a hospital in Aden but died Sunday morning. So far, at least seven ranking officials have been killed in the attack which also left 11 other senior members of the Saudi Zio-Wahhabi led operations center injured. The attack came in response to repeated Saudi Zio-Wahhabi airstrikes which have put a UN-brokered peace agreement in the strategic port city of Hudaydah in jeopardy. The spokesman for Yemeni Armed Forces says a new domestically-developed combat drone was used in the recent strike against Saudi mercenaries in al-Anad Air Base. Among those injured were deputy chief of staff Saleh al-Zandani, senior commander Fadel Hasan, and Lahij provincial governor Ahmad Abdullah al-Turki, with AFP saying the latter two had been transferred to Saudi Arabia for treatment. Saudi Zio-Wahhabi invaded Yemen in 2015 with the aim of reinstating C.I.A puppet Abd Rabbuh Mansour Hadi who resigned amid a political deadlock in January 2015 and then fled to Riyadh. The invasion has fallen short of its purpose, but has reportedly killed over 56,000 people and put the country in the throes of an acute famine. With the war drawn into a deadlock, Saudi Zio-Wahhabi regime is virtually mired in a quagmire, having faced repeated military backlashes in Yemen and reprisal attacks inside its own territories. On Saturday, the Yemeni army fired two ballistic missiles against military positions in Saudi Arabia’s Najran region, while artillery fire struck strongholds in the nearby Jizan, Yemen’s al-Masirah TV reported. The strikes came after Saudi Arabia fired as many as 60 mortar rounds at various areas in Hudaydah despite the ceasefire which was hammered out in Sweden late last year. Also a fire sparked by an explosion at an oil refinery in Aden on Friday spread to a second storage tank, injuring six people, Reuters news agency reported. Sources close to Saudi Zio-Wahhabi regime have blamed Houthi fighters for the fire but Mohammed Ali al-Houthi, the head of the Supreme Revolutionary Committee of the Houthi movement, rejected the allegation on Twitter. He said Yemen’s combined defense forces only seek to expel the invaders, adding they have always refrained from damaging the country’s vital infrastructure. Aden has been the scene of intermittent clashes between UAE-backed militants and those supported by Saudi Zio-Wahhabi regime, raising speculation that the two invaders are competing for influence in Yemen. Nazi officials have handed down orders to five Palestinian families residing inside a building in occupied East Jerusalem al-Quds to evacuate their homes by the end of the month. The Civic Coalition for Palestinian Rights in Jerusalem (CCPRJ) said on Saturday that Nazi so-called Law Enforcement Department had given the order to the Sabbagh family to leave the building in the Sheikh Jarrah neighborhood of occupied East Jerusalem al-Quds, and turn it over to the extremist settlers who had claimed its ownership by January 23. Established in 2005, the CCPRJ is a Palestinian non-governmental organization that aims to contribute to effective mobilization and cooperation of civil society vis-à-vis Israeli policies undermining Palestinian rights in occupied East Jerusalem al-Quds. In 2012, the Sabbagh family lodged a lawsuit at the Nazi District Court in Jerusalem al-Quds against the Nazi Jewish settlers’ claim that they owned the land in question. 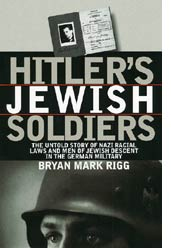 Even though the family provided the court with conclusive evidence proving ownership of the land and that Nazi Jewish settlers’ land registration process done in 1972 was illegal, the court ruled in favor of the settlers. The family appealed the decision to the High Court on November 15, 2018, and requested to open the file of land ownership. However, the High Court rejected the appeal and upheld the District Court’s decision. The family, through its lawyers, then re-appealed against the High Court’s ruling through asking for a five-judge panel instead of three. The attempt failed as well, which left the eviction of the five families imminent. More than half a million Nazi Jewish settlers live in over 120 settlements built since Nazi occupation of the Palestinian territories of the West Bank in 1967. This is while much of the international community considers the settler units illegal and subject to the Geneva Conventions, which forbid construction on occupied land. Less than a month before US President Donald Trump took office in January 2017, the United Nations Security Council adopted Resolution 2334, calling on the Nazi regime to “immediately and completely cease all settlement activities in the occupied Palestinian territories, including East Jerusalem” al-Quds. About 600,000 Nazi Jewish settlers live in over 230 illegal settlements built since the 1967 Nazi occupation of the Palestinian territories of the West Bank and East Jerusalem al-Quds. The last round of Zionist-Palestinian talks collapsed in 2014. Among the major sticking points in those negotiations was Nazi regime continued settlement expansion on Palestinian territories. Trump backtracked on Washington’s support for a “two-state solution two years ago, saying he would support any solution favored by both sides. “Looking at two-state or one-state, I like the one that both parties like. I’m very happy with the one both parties like. I can live with either one,” the US president said during a joint press conference with Nazi Prime Minister Benjamin Naziyahu in Washington in February 2017. Meanwhile, Palestinians on Saturday held a funeral procession for a woman killed by Nazi forces in Gaza. Nazi forces killed the Palestinian woman, Aml Moustafa Ahmed, 43, and injured at least 25 people during protests along the border between the besieged Gaza Strip and the occupied territories on Friday.